ShopRite is introducing the US first durable yet compostable non-woven reusable shopping bag. The bag will be offered in selected ShopRite supermarkets in New Jersey, New York, Connecticut, Pennsylvania, Maryland and Delaware. The US-based retailer is working with Earthwise Bag Company Inc in Burbank to supply these biodegradable and compostable bags. 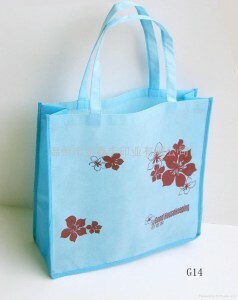 This new 100% biodegradable and compostable non-woven shopping bag is manufactured from a combination of corn and tapioca fibers, using by-products from the food manufacturing process. As introduced, this reuse of “waste” materials further reduces materials entering the waste stream. The bags are printed with water-based inks, sewn with cotton thread, contain no petroleum and are non-toxic and carry the ASTM 6400 certification, a national standard for biodegradability and compostability awarded by the US Composting Council. They also carry a distinctive leaf embossing, which sets them apart from other bags in the marketplace.